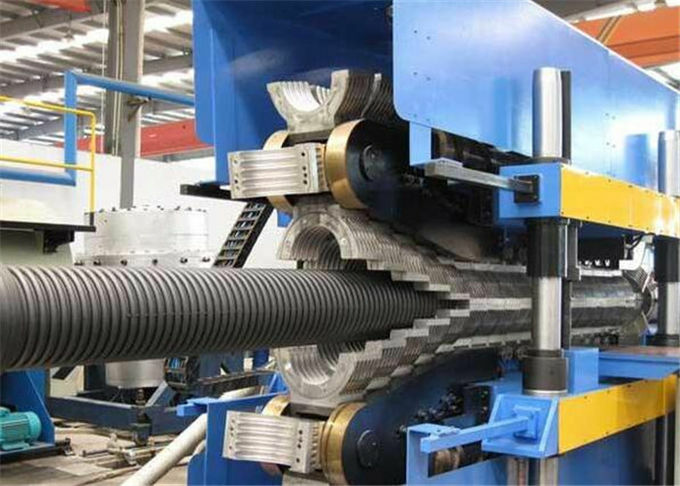 This single-wall corrugated pipe machine can be used to produce corrugated pipes of PVC, as well as PA PE PP and EVA corrugated pipes. 1. 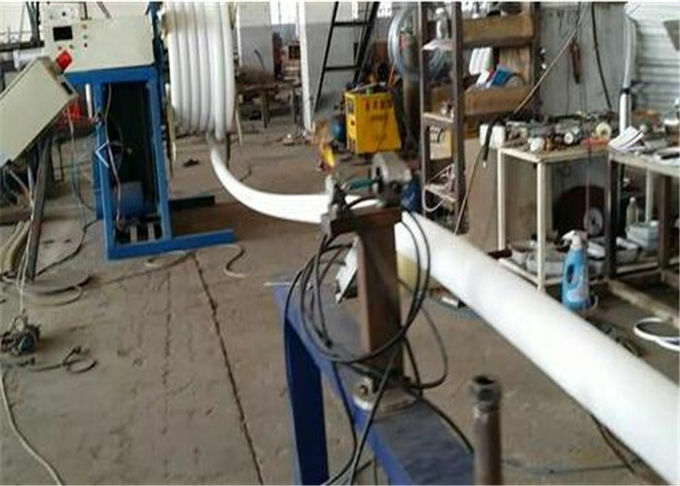 This extrusion line is suitable for the high speed extrusion of HDPE, LDPE, and PP material. 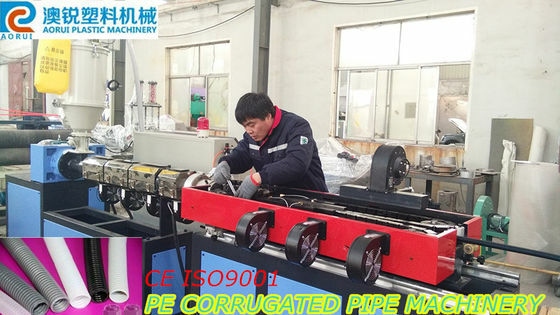 HDPE Double Wall Corrugated Pipe Extrusion Line adopts directly extruding (single extruder or two extruders' co-extrusion) and forming technology, human-machine interface control system. 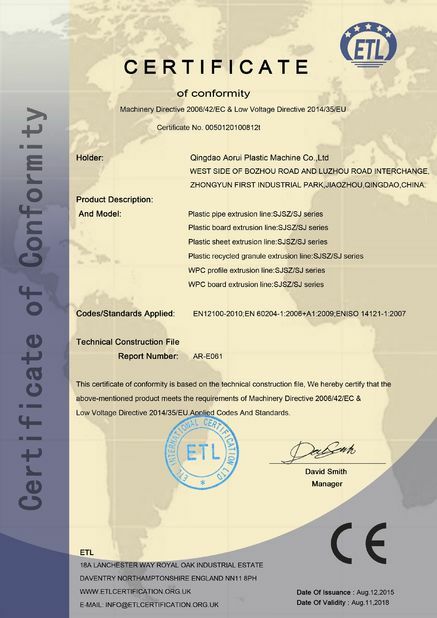 It makes high automation degree, reliable quality and stable production become true. And this pipe production line wins our home and abroad customers' good reputation. 2. High output and low power consumption. All hard teeth surface bears experienced heat treatment and fine grinding, the reduction box together with the inner forced cooling system ensure high efficiency, low voice and long lifespan. 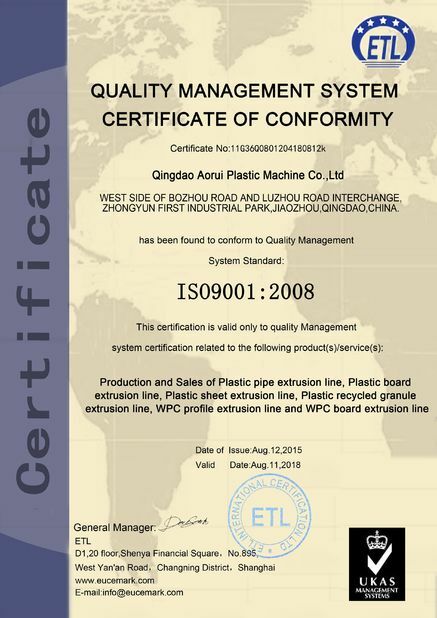 This production line mainly consists of Single screw extruder , Mould , Vacuum cooling tank , Spary tank , Six claw tractor , Planet cutting machine , stack.